Getting help in the form of a capable inhalant rehabilitation facility might essentially make the difference between life and death for an addict. Inhalant recovery facilities have an intrinsic problem with the treatment of inhalant abusers. By the time a recreational drug user has resorted to the use of inhalants, it’s highly unlikely that the user’s issues are restricted to just one chemical dependency, independent of other substances or psychological problems. Special care must always be taken with inhalant abusers to meet whatever additional needs they bring with them to treatment. Finding the best inhalant recovery program can take time, but considering the gravity of the problem and the host of medical and behavioral problems associated with inhalant abuse, it’s time well spent. Getting help in the form of a capable inhalant rehabilitation facility might essentially make the difference between life and death for an addict. Compressed air canisters (computer dusters). “Sudden sniffing death” syndrome which produces rapid heart failure. 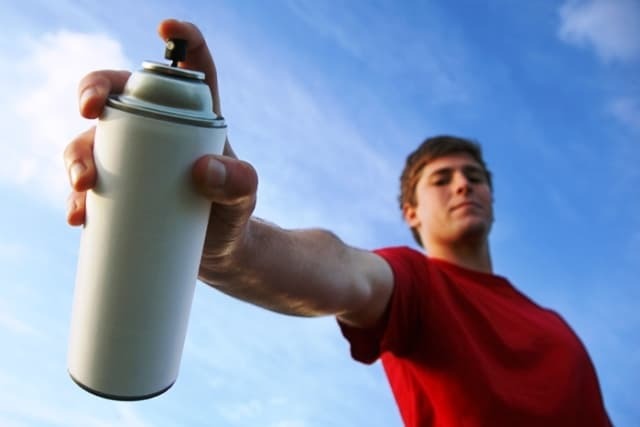 Inhalant abuse is seen in youths and adults, but is most commonly associated with adolescents. Data from a national, school-based survey report in 2015 indicated that 8th graders were most likely to have abused inhalants in the past year, followed by 10th and 12th graders. Frequent or persistent rashes around the nose and mouth caused by contact with solvents and other harsh chemicals. Paint, correction fluid, or other stains on the face, hands, or clothes. Slurred speech and apparent intoxication or disorientation. Paraphernalia, including both full and empty chemical containers, and plastic/paper bags and rags used for inhaling. Abnormal mood and behavior changes. Most inhalants enter the bloodstream rapidly in a matter of seconds, producing short and intense effects, but are eliminated from the user’s system in a short amount of time. Due to this relatively short action, there are no definitive drug tests that can be used to detect the use of inhalants as seen with other drugs such as cocaine or marijuana. Inhalants are extremely dangerous. If you use inhalants and aren’t able to stop on your own, it’s important that you call 1-888-319-2606 Who Answers? right away. Call at any time and you’ll be in contact with a sympathetic and well-trained professional who can answer your questions, put you in touch with an inhalant treatment facility, and help you with getting your life back on track and away from the inhalant abuse that’s putting you at risk. Inhalant treatment facilities are forever fighting a battle against time. By the time an addict gets as far as being admitted to inhalant rehabilitation facilities, damage caused by inhalant abuse may have already been done, as the harsh chemicals can take their toll on the user in the form of permanent brain damage. Considering the damage inhalants cause to the lives of their users and to the surrounding lives of people who care for inhalant users, there can hardly be a need more urgent than that of the addict seeking help from inhalant recovery facilities before time runs out. A comprehensive residential rehab can offer the safety and support you need to overcome the challenges in early recovery and prepare you for continued success when you return to life at home. It is an intensive yet supportive approach to treatment that allows you to safely detox from inhalants and other drugs and become stabilized, allowing you to focus on individual needs and learn new skills to prepare you to effectively cope with stressful situations and prevent a relapse. Dedicated inhalant rehabilitation centers may not be as common as stand-alone institutions, but quality addiction rehab and recovery treatment programs are available nation-wide. If you have a problem with inhalants or you know somebody who might be using them, you should know that this life-threatening behavior is not beyond your control. Help is available to you at any time of the day or night simply by calling 1-888-319-2606 Who Answers? . When you call, you’ll find people who know what you’re going through and who want to help by putting you in touch with a community of support.